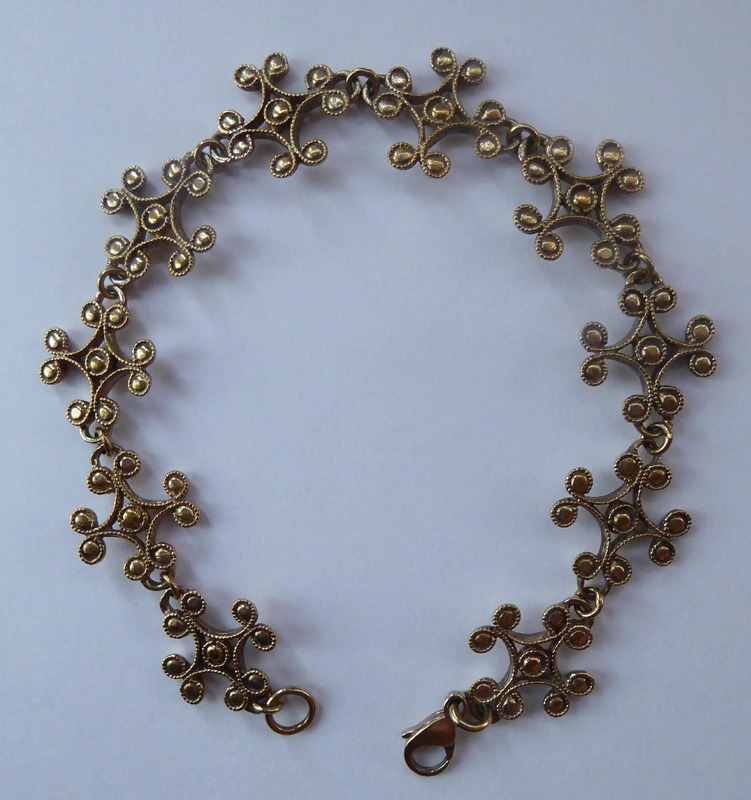 This a very pretty and beautifully made vintage designer bracelet. 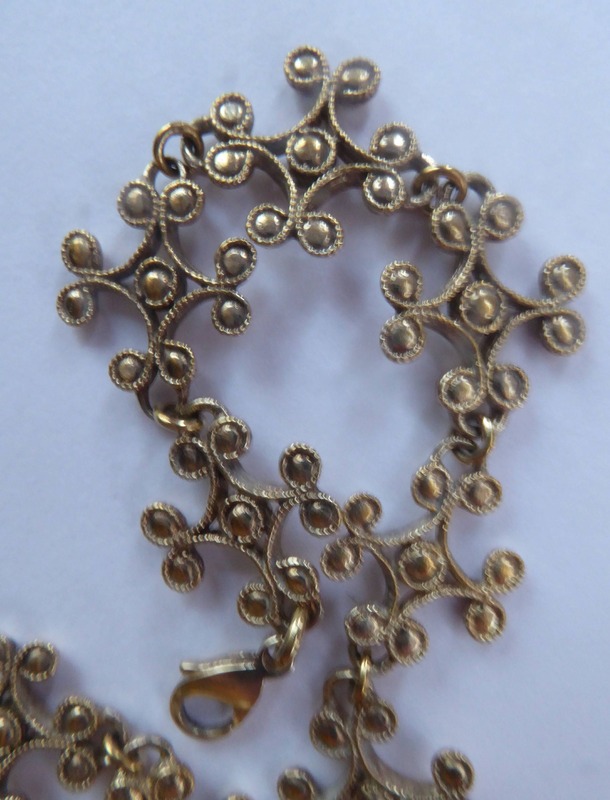 It has a hallmark for silver assayed in Sheffield in 1990. It also has a marker's mark: BMP. Although hallmarked as silver - it seems to have a little bit of a gold-tone blush to it (very subtle) so perhaps given a little gold wash to finish the colour. 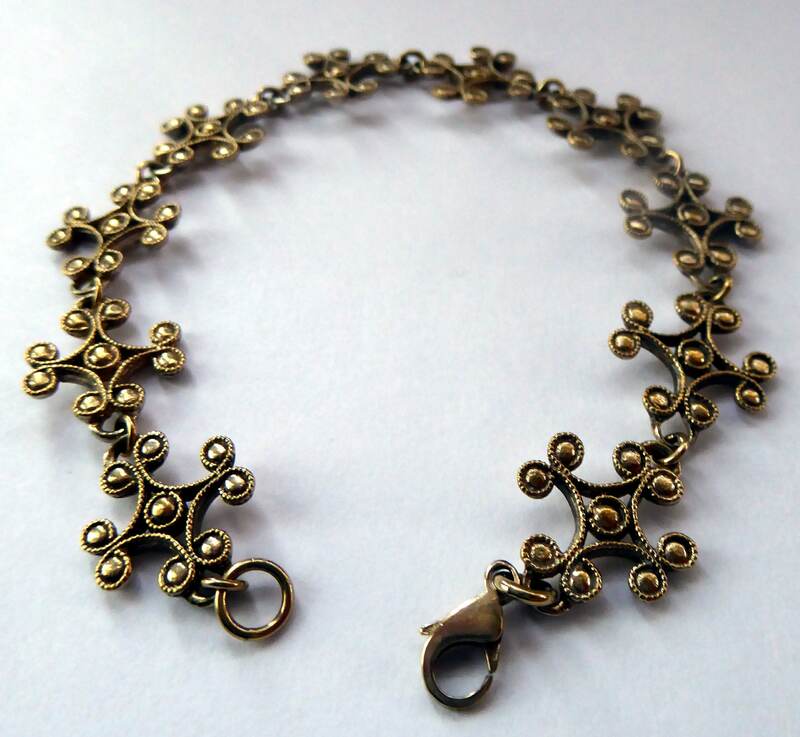 The bracelet is very delicate in the making and a longer size measuring just under 8 inches in overall length. 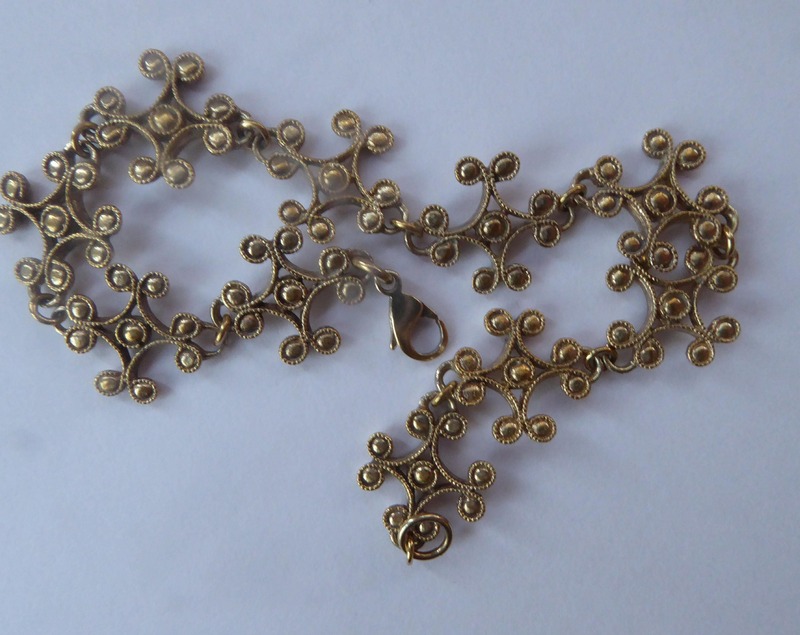 It is very pretty and made up of little geometric shapes like little flower heads or snowflakes. 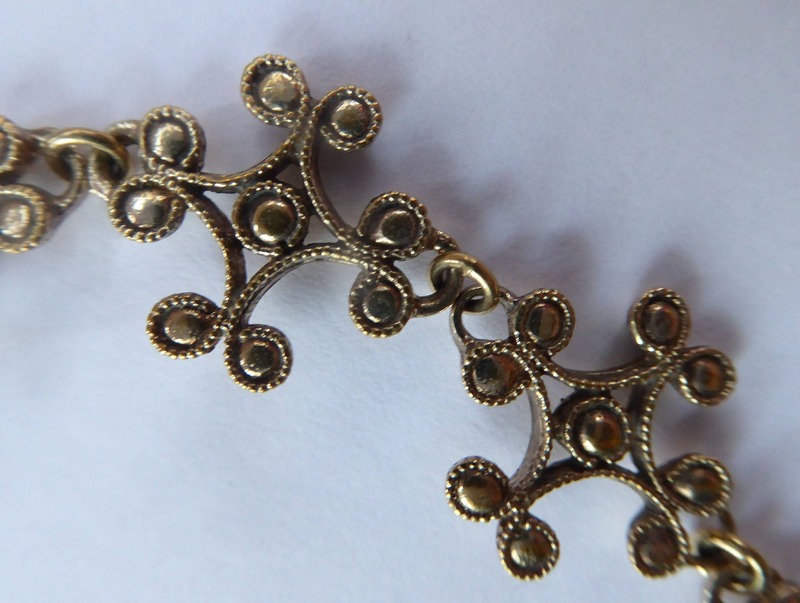 Each little link section is just so finely made and exquisite detail. 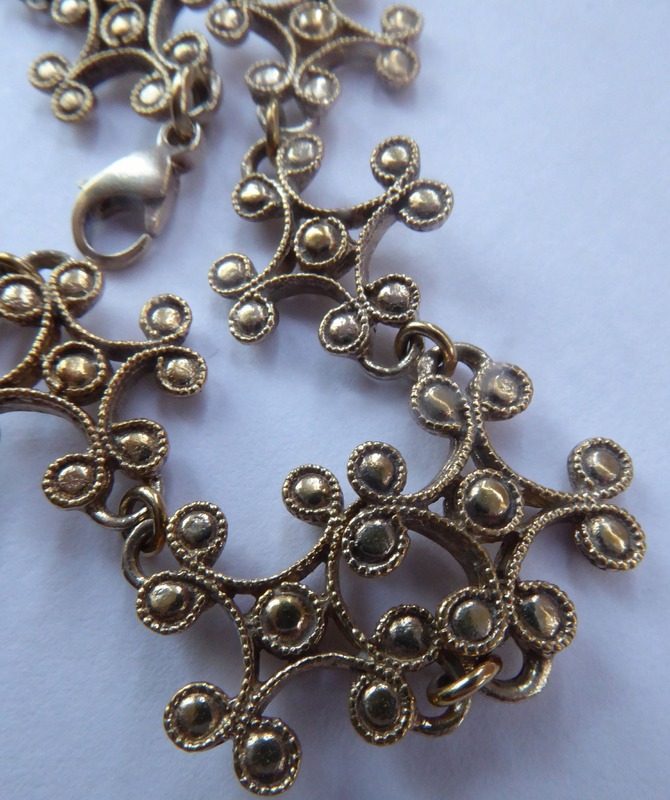 Each little section is held together by a sturdy little silver link - all nice and secure. There are a total 10 geometric shapes making up the bracelet. 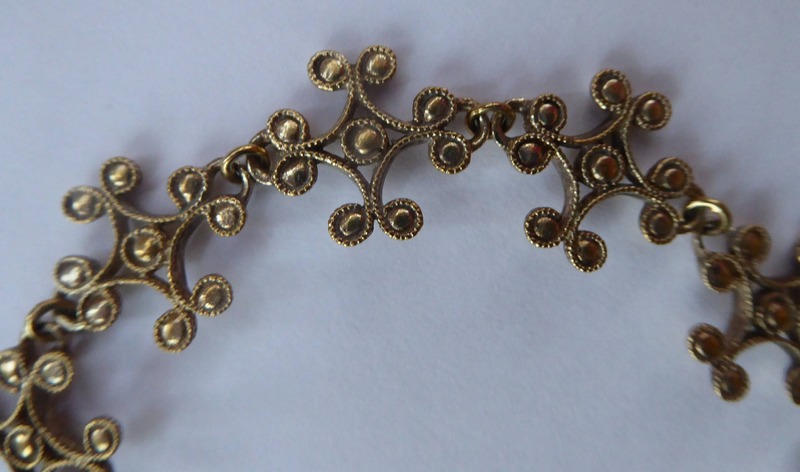 There are lots of lion stamps on every second shape on the back of the bracelet. STG mark on clasp for Sterling Silver. 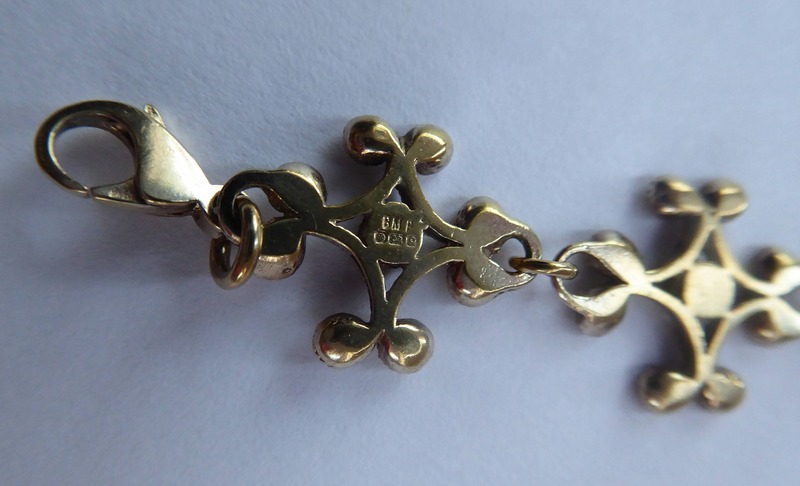 The clasp is a nice lobster claw which makes it easy for you to put on the bracelet. 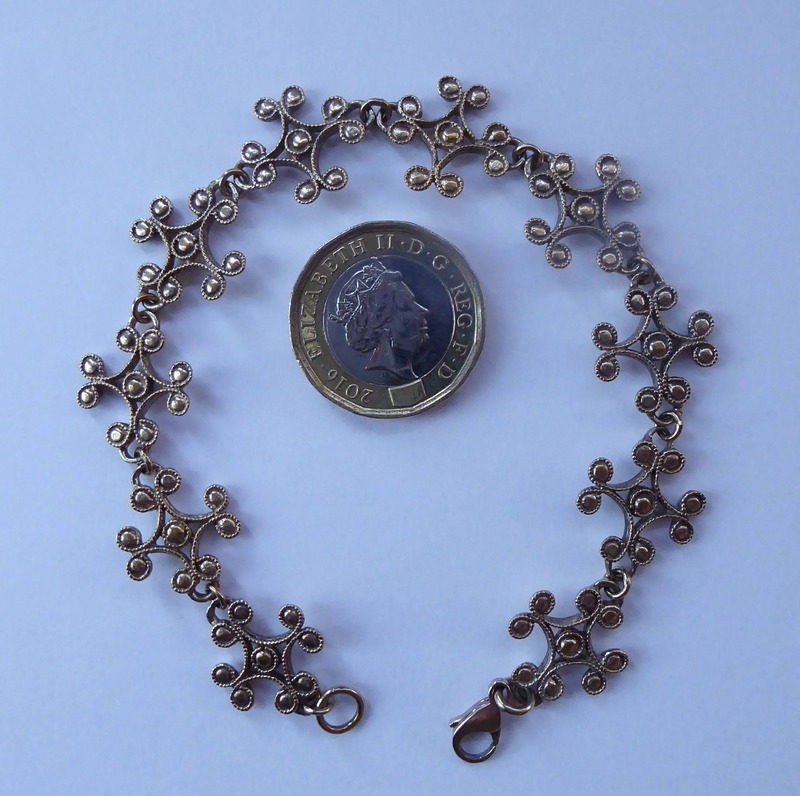 It is a "wee special" this one: the quality is certainly in the making - and if you like your jewellery a little more on the "girly" or delicate side - this is certainly one to tempt. Hope that my photographs do this fine item justice. Of course it is in excellent condition (dont think that it has ever been worn) and would be sent in pristine and totally clean condition. You wont be disappointed.